This turned out to be a very sweet quilt. I think I need to try something new, it seems lately that all my quilts have A LOT of white in them. I really do love the contrast of the white with the colors. Love it! I really like the contrast with white as well. You have inspired me to add making a quilt with lots of white to my list of quilts to make. Oh my its so beautiful. I love the colors and the use of white. Very artisitic. You've got a great eye. Oh! this is my first visit to your lovely blog and I am completely smitten - I just love your use of white! Makes everything so crisp and pretty! I foresee a long sit with the laptop - I'd better make a cup of tea first! And then I want to make a quilt just like this one! super sweet! i love it. good job nettie!!! Great job on another great quilt! wow! it's gorgeous. 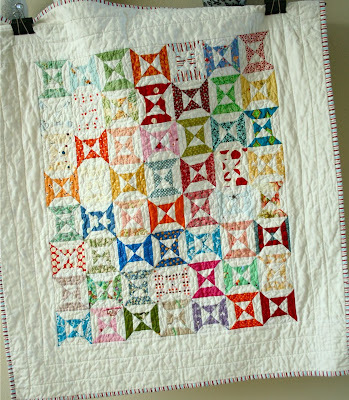 I love the use of a lot of white in a quilt. All of my quilts are filled with white too... I can't help it! It makes the colors and patterns pop so nicely. 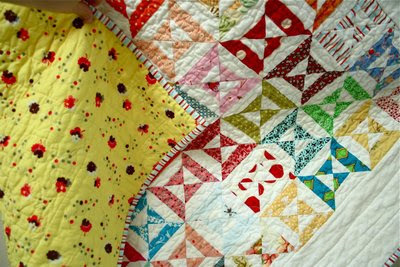 As is proven here with your beautiful quilt! It's great! I love this block....well the whole quilt is amazing, but this block!! Did you come up with it yourself? I haven't seen it before. Hi nicole, this a very late response to your question. 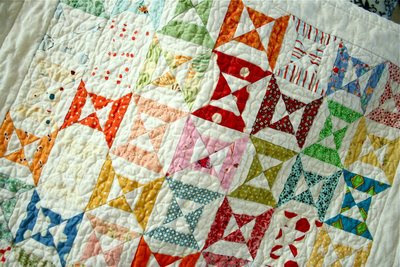 This block is not my design, the quilt was inspired by a design called Short Story by Carrie Nelson. Plaids and Stripes...same quilt different colors and lots of buttons! I am so in love with this quilt! I need to make one myself. 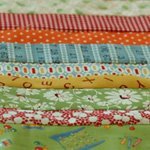 Quick question - what width of strips did you use to make the blocks?